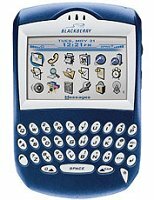 Blackberry Heading to China | BlackBerry Blast! Research In Motion today announced that China Mobile Communications Co., Ltd (China Mobile) plans to offer BlackBerry® in China. RIM and China Mobile will initially focus on supporting multinational corporations with operations in China. China Mobile will soon offer BlackBerry service nationwide and provide SIM cards to support BlackBerry service. Availability of BlackBerry Wireless Handhelds™ and BlackBerry Enterprise Server™ will be announced at a later date. BlackBerry on China Mobile’s GPRS network will enable corporate customers to enjoy wireless access to email, phone, organizer, Internet and other corporate data applications.